​This course focuses on the skills and knowledge parents, guardians, and caregivers need, with particular emphasis on maternal health, pregnancy, birth, and the early years of human development (birth to six years old). Through study and practical experience, students will learn how to meet the developmental needs of young children, communicate with them, and effectively guide their early behaviour. Students will develop their research skills through investigations related to caregiving and child rearing. Open up your binder (and make sure you have ample lined paper). If you use a computer, make sure it is turned on and plugged in. 2. Check the board for the agenda - also check for any pre-lesson work. Finish movie, "Juno," and begin paragraph answers. 1) Finish "Juno" and take notes for the 3 questions: 1 - How does Juno prepare for parenthood? 2 - What new responsibilities (or duties) does she have, and 3 - What adjustments does she go through? 3)Create 1 paragraph for each question. Write Juno Paragraphs. Self and peer edit. 1) Brainstorm - why do we research? 3) Think-pair-share: What is the difference between credible and non-credible sources? Read and discuss about authoritarian, democratic and permissive. 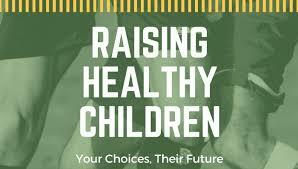 1) Read about theorists, and how to develop a parenting style and philosophy. Watch a clip from "One Tree Hill" and talk about how teen pregnancy is depicted. Are any consequences shown? Then watch the documentary called "Teen Pregnancy in America." How is this depiction of teen pregnancy different than teen pregnancy shown in "One Tree Hill?" 2) Answer the support questions in full answers on the google doc. Sorting Activity - Individual this time. 1) STATIONS - A: "Communication counts" B: "Verbal and non-verbal messages" C: "Strategies for Communicating" (read and create a small poster). Extra work: Read p. 458-459 and do "try this" exercise.